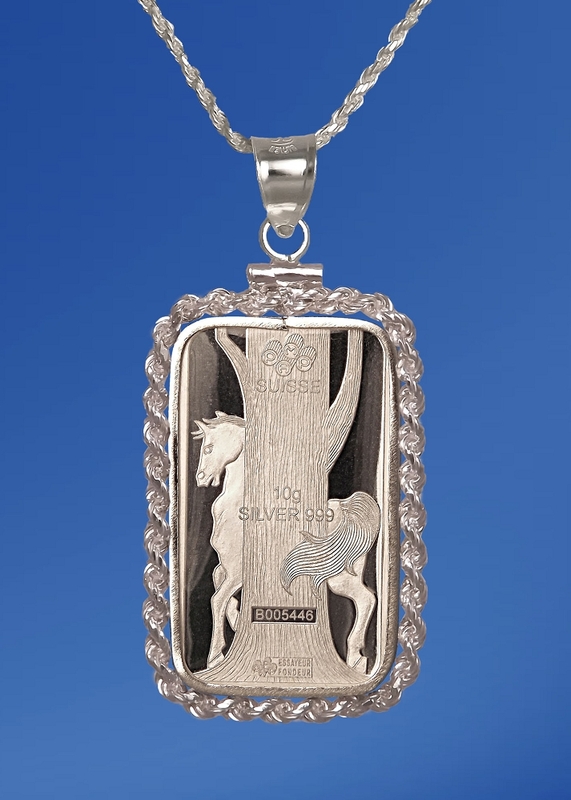 Beautiful necklace features Lunar Horse .999 Fine Silver bar from Swiss bullion specialist PAMP enhanced with 24KT gold highlights. Sterling silver French rope mount. 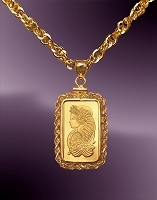 20" Sterling chain. 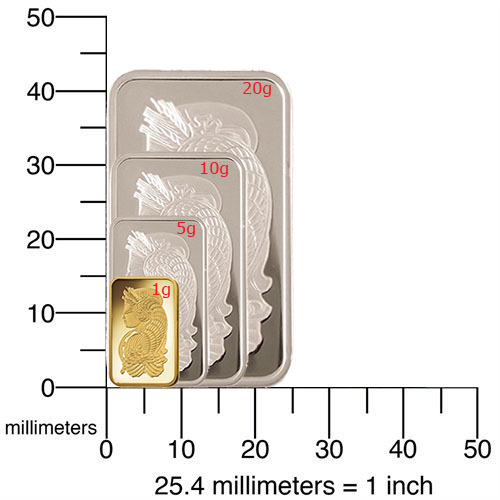 Stunning necklace features .999 Fine Silver bar weighing 10g from Swiss bullion specialist PAMP, enhanced with 24KT gold highlights and Aurista's exclusive Lenscote protection. Handmade sterling silver secure screw-top French rope mount. 20" diamond cut Sterling silver chain. 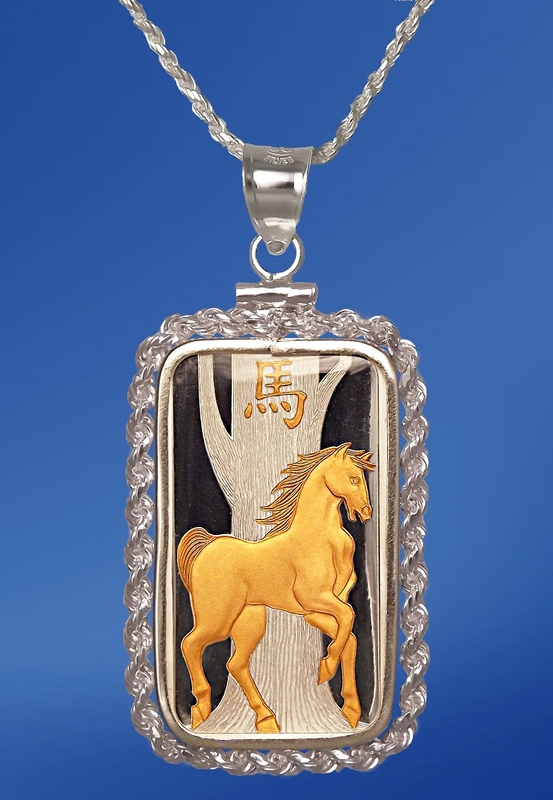 PAMP's Lunar Horse design inspired by the Chinese Zodiac is sure to thrill horse lovers as well as those born in the year of the horse. Aurista's limited lifetime warranty, presentation box included.